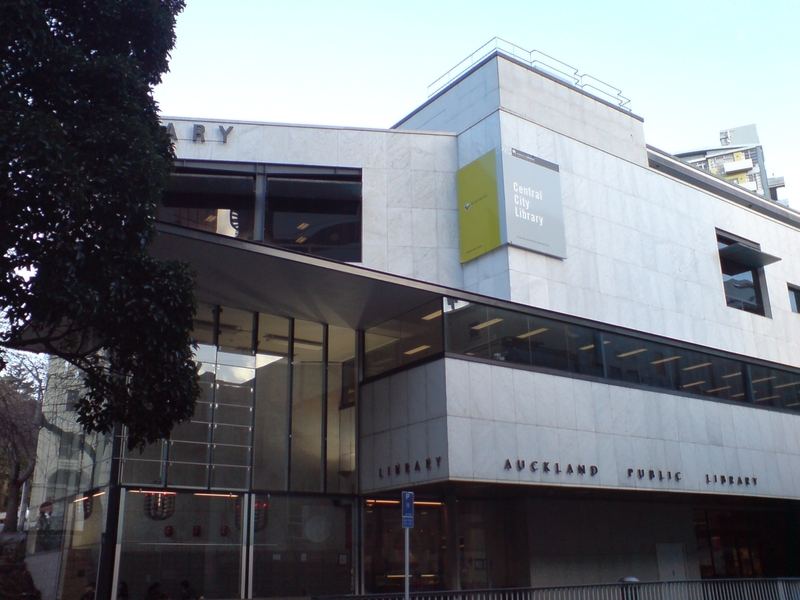 So, a big announcement has been in the works for some time: from 25th February I begin a six-month contract as adviser to Auckland Libraries, the largest public library network in the southern hemisphere. The mission is to extend and enhance Auckland’s already superlative library offerings for children and young people with creative, challenging, and sustainable activities for the future. I feel confident that we’re entering an era of swashbuckling literacy adventure Down Under. Auckland is the city where kids play a Kiwi-themed version of Angry Birds in their libraries; the city whose librarians already talked Bryan Lee O’Malley into letting them use Scott Pilgrim as the face of their comic book events and wooed Amanda Palmer into giving an impromptu Get Loud In Libraries-style guerilla gig. Before Auckland beckons, I’ve been looking at the latest developments in the UK and US. The Future Foyles workshop held on Monday of this week brought together publishing, retail, and literacy professionals seeking a vision for London’s next great flagship bookstore – you’ll see me quoted in The Bookseller’s report of the event – and finding much food for thought from a wider community outreach perspective. Proposals included integration of digital and print media, premium membership services like bibliotherapy, and a vision of the bookstore as a curated cultural destination – a temple to literature in the heart of a reinvigorated Bookseller’s District. All of these ideas resonate with the challenges facing 21st century libraries, and indeed all spaces that serve the arts and humanities. For a bookstore, the future might involve turning a retail space into a cultural venue for everyone with a passion for reading and writing; a library may become a hub for facilitating knowledge creation and access to culture, as R. David Lankes has suggested in the US; in universities, with an increasing vogue for online delivery of courses and even lectures, the physical campus will need to demonstrate its relevance as a home for compelling, engaging activities that can’t be replicated electronically. To me this means an increased emphasis on performance, interactive play, and storytelling. Some of our greatest successes on my last Australasian project involved incredibly low-fi activities, like horror-themed oral storytelling for teens, or ‘real life Angry Birds’ played with balls and cardboard towers. The much-discussed Zombie Siege of Tullamore Library exploited broadcast and social media to get its message to a wider audience, but the event itself required little more than face paint, food colouring, and the standard resources of any public library. Pancakes on London’s South Bank! Last night, Shrove Tuesday, I took friends with backgrounds in performance, education, and public policy out on a small but beautiful celebration of these principles. We began with cocktails at Benugo, the bar of the British Film Institute – I believe that a good watering hole at the heart of a great public arts space should inspire anyone, including librarians. This was followed by a little low-key Situationism, cheekily bringing pancakes to London’s South Bank with the aid of a camping gas stove and a fine Canadian batter recipe. Finally, we packed up the cooking gear and lugged it around a new immersive theatre show at Somerset House, In the Beginning was the End. Wandering through the historic building, we encountered darkened laboratories, ominous portents of world destruction, and an electronics trade show gradually descending into chaos as technology rebelled against its creators. The creative team at immersive theatre company dreamthinkspeak have conjured an incredible apocalyptic mood, and the performers were brave and talented (I feel for the poor German-speaking ‘scientist’ whom I grilled on his backstory auf Deutsch), although in my gang, we found ourselves wishing for a stronger storyline to the event. So these are the threads that I’ll be looking to draw together over the next six months: world-class innovation in libraries; respect for physical space, play, and performance in the age of digital media; and being a little bit naughty whenever possible. (I already led food fights in the council chambers of Christchurch, New Zealand last year, so I’m hopeful about pushing the Kiwis on to even greater acts of carnival). Stay tuned for more from the southern hemisphere!